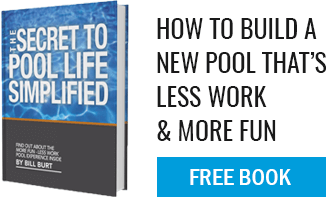 Pool tile, coping, and surfacing turn your pool shell into an Aqua Pool masterpiece! Aqua Pool’s Interior pool finishing brings drama, color, and personality to your soon-to-be ready backyard oasis. Ceramic Tile in your choice of size, style, color, and design is skillfully installed along the water line to provide a durable and easily maintained surface, while also adding the drama you desire. Next we cap the pool shell wall using a stone coping available in a variety of styles and colors to further customize your pools finish. Plaster Pool Surfaces – providing a super sleek, naturally strong finish that will hold whatever final wall color you select. Pebble Tec® – A stain-resistant surface created with pebbles from around the world. Pebble Tec® offers elegance and durability. Pebble Tec® delivers a natural, non-slip texture and a spectrum of colors that change with sunlight and water conditions. 3m Colorquartz™ – High-quality, ceramic-coated 3M Colorquartz™ Crystals are blended into plaster for a brilliant, sparkling finish with lasting durability.